↑ Castro, Fidel (2007) (enमा). Fidel Castro Reader. Ocean Press. pp. 37. . https://books.google.com/books?id=aNQaaPKRJ68C&pg=PA37. 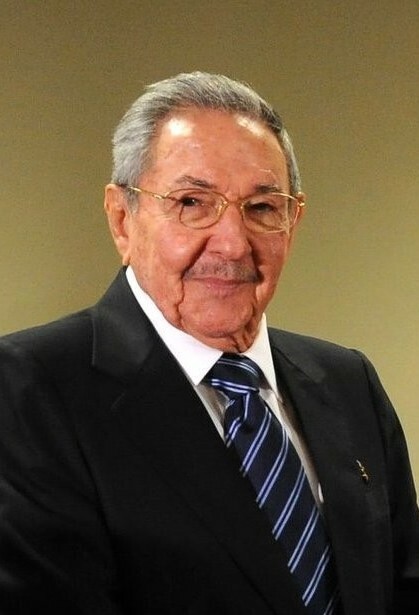 ↑ "Raul Castro to lead Cuba's Communist Party until 2021", FRANCE 24, १९ अप्रिल २०१८, ""I confirm to this assembly that Raul Castro, as first secretary of the Communist Party, will lead the decisions about the future of the country," Diaz-Canel said."